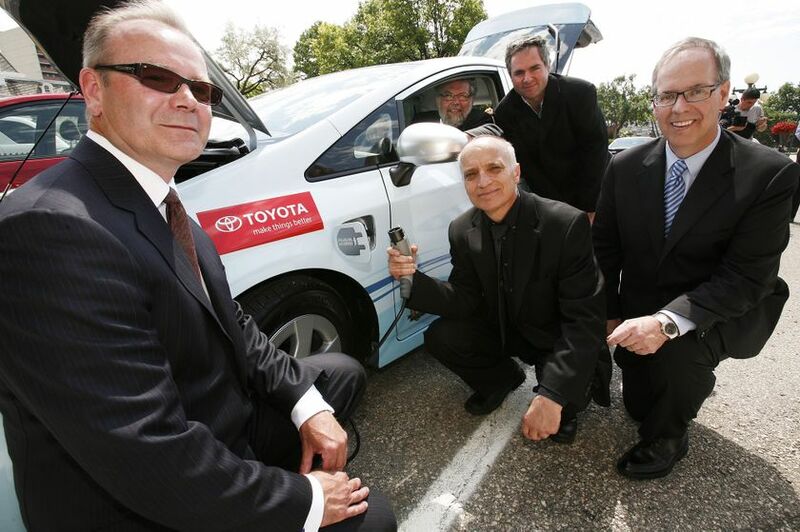 (WINNIPEG, Manitoba) - July 13, 2010 - A new era in sustainable mobility begins in Manitoba today, as Toyota Canada delivered a Toyota Prius Plug-In Hybrid (Prius PHV) to its provincial testing partners at a ceremony in Winnipeg. 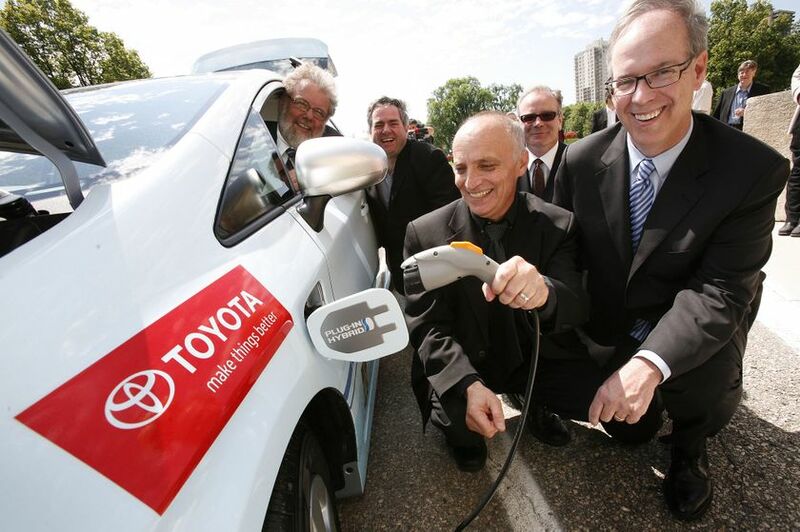 Toyota Canada and provincial partners Manitoba Hydro, Manitoba Innovation, Energy and Mines and the University of Manitoba were on hand to officially ‘plug-in’ to the future and deliver the Prius PHV to the province of Manitoba. 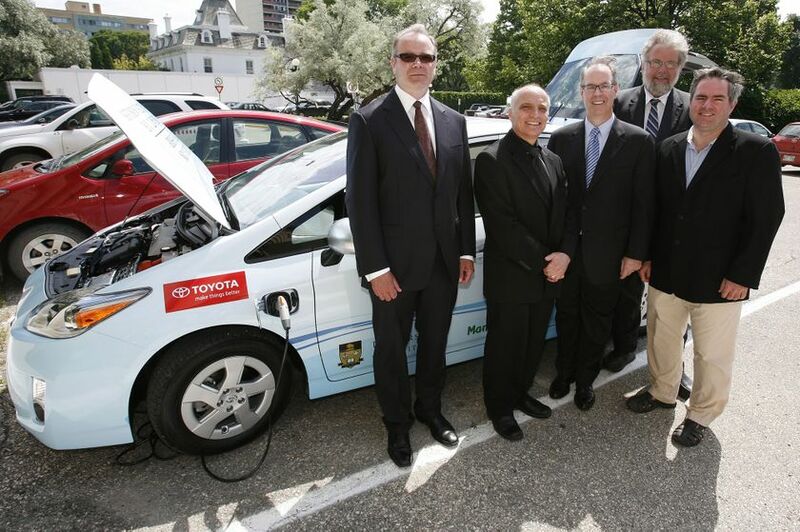 To mark the occasion, the Innovation, Energy and Mines Minister David Chomiak, Conservation Minister Bill Blaikie, Manitoba Hydro’s Division Manager of Corporate Planning and Chair of their Electric Vehicle Task Forceplus, Ian Page, and Toyota Canada’s Managing Director, Stephen Beatty, were on hand for the delivery at the Manitoba Legislative Building today. 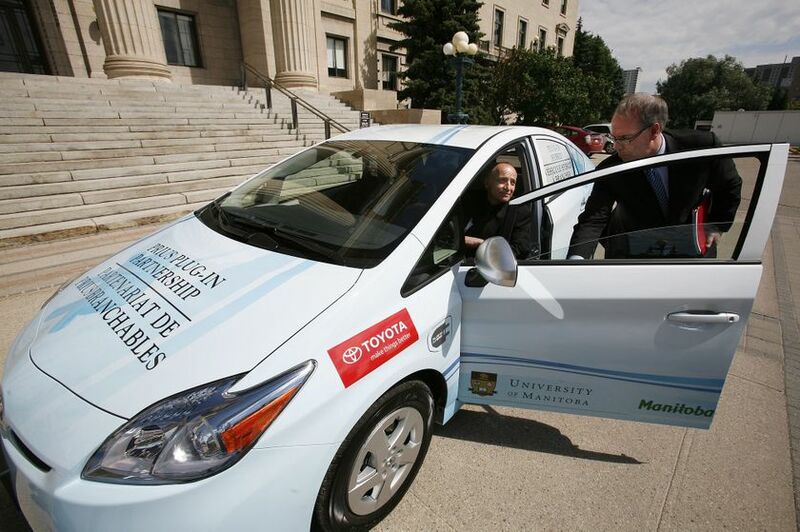 Toyota’s Manitoba partners will share their Prius PHV, which will be fitted with telematics equipment to record vehicle and hybrid system performance. The Toyota Prius Plug-In achieves a fuel consumption of just 1.75L/100km and CO2 emissions of 41 g/km under specified driving conditions (combined electric vehicle and hybrid vehicle modes). 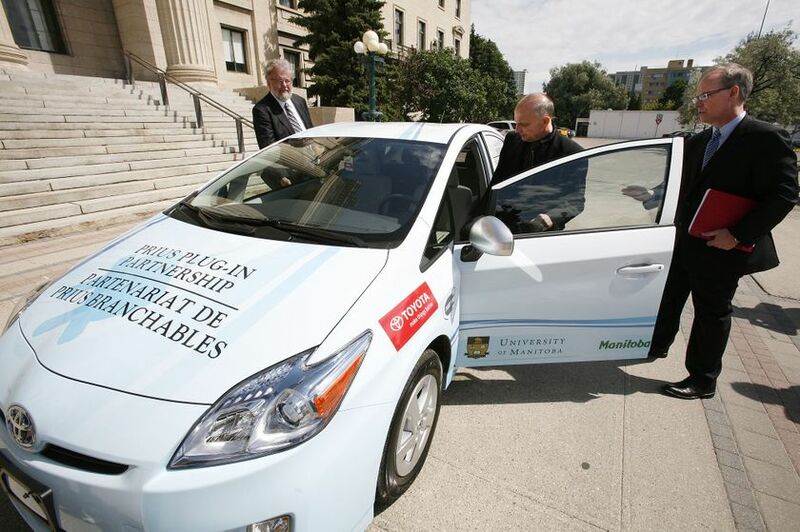 Compared to the typical conventional midsize automobile, driving a Prius PHV for one year is expected to reduce one’s fuel consumption by 1,650 L (83%) and one’s CO2 emissions by almost 4,000 kg (or 4 tonnes). 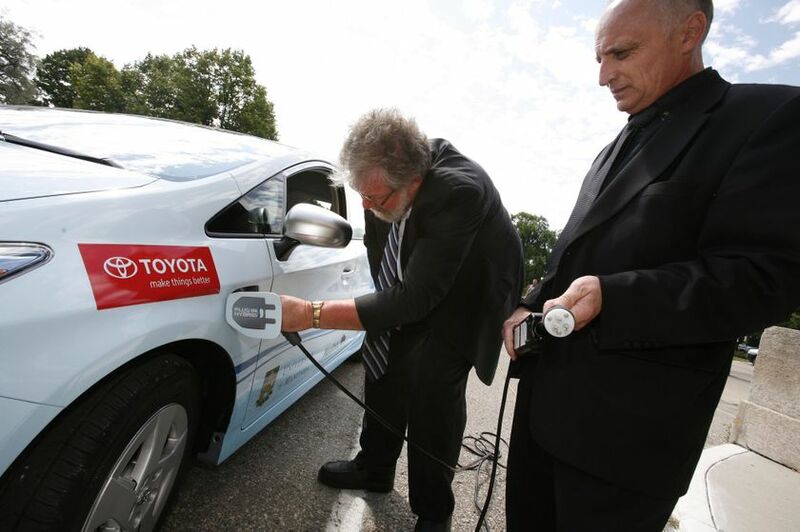 Canada has been selected as one of the participating countries for Toyota’s global test of the Prius PHV. 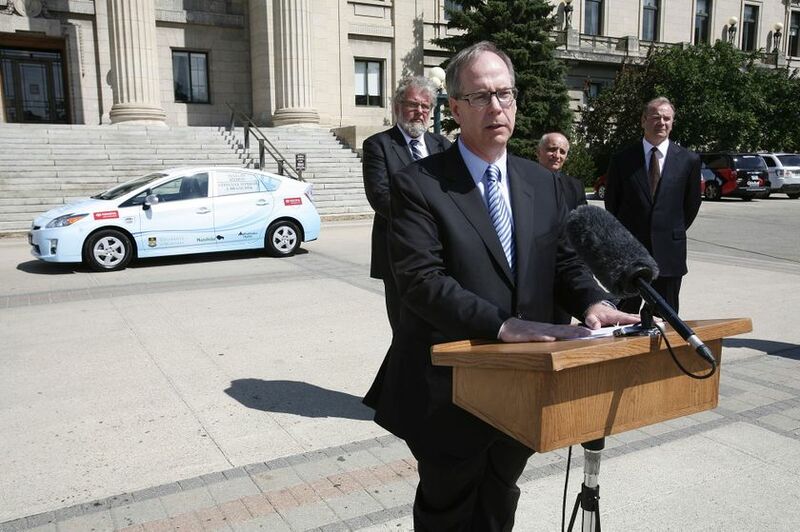 Five Prius PHV vehicles hit the roads this summer with 15 trial partners in 4 provinces in the first phase of a nationwide trial, including Manitoba. 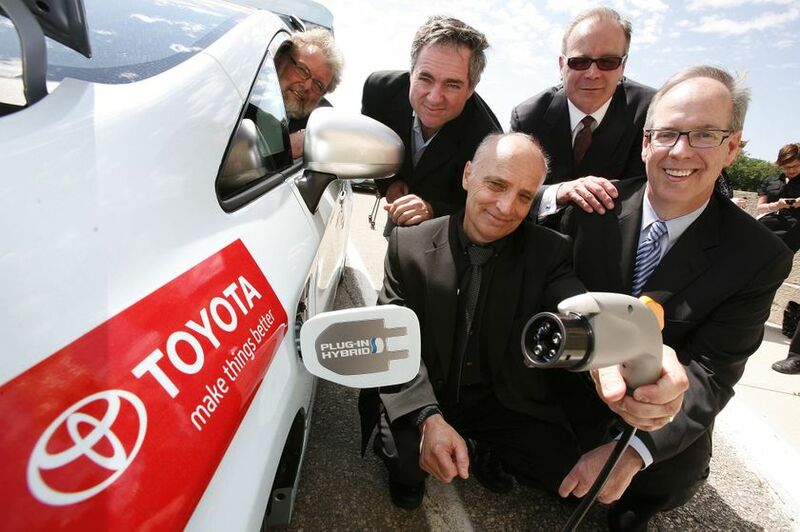 This enables Toyota Canada to conduct technical and market acceptance tests unique to Canada’s driving experiences and climatic conditions. The real world trials will continue through the coming winter to assess Prius PHV performance under a range of driving and climate conditions. Moreover, feedback from the Canadian tests will help ensure the Prius PHV performs well in any country where drivers encounter cold temperatures, ice and snow.